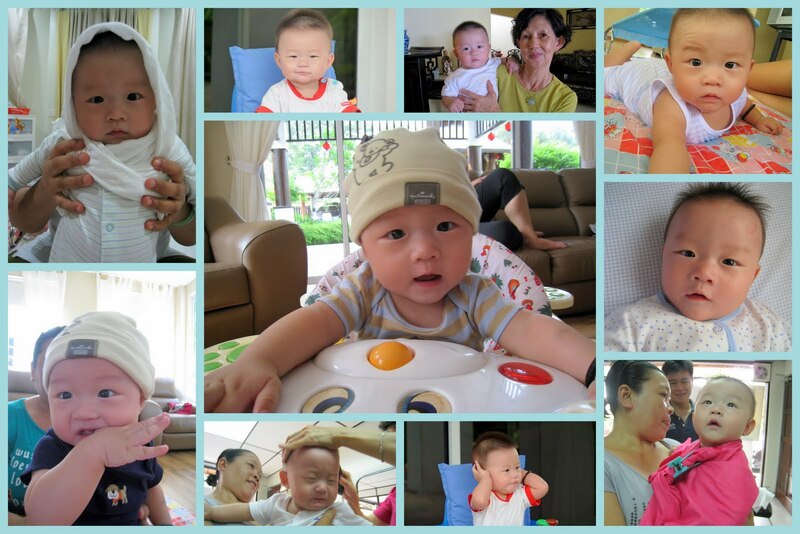 Ethan is still not teething yet! He is biting on her fingers a lot but we still don't see anything on her gums. Haha. Some said it is good because his teeth will not decay that early. Well, we shall see! At 7 months old, Ethan is a very determine and persistent boy. He will try to get the things he wants. He has also started to crawl now. Clap Clap to you, my dear boy!